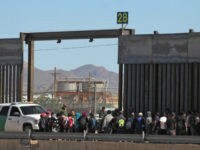 Mexico’s former ambassador to the U.S. said that 30 million “undocumented immigrants” are living in the United States in the beginning of an interview before later stating a different number at the conclusion. 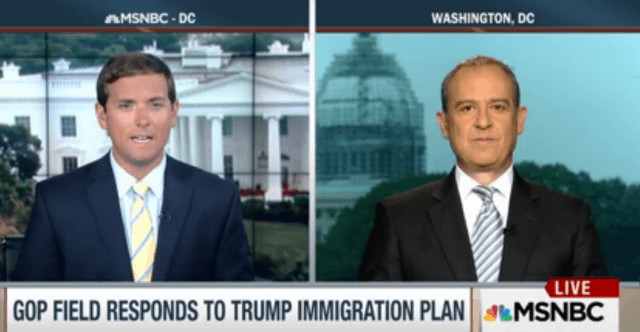 The former diplomat, Arturo Sarukhan, took to MSNBC to attack presidential hopeful Donald Trump’s recently released plan to secure the border and deport illegal immigrants. The MSNBC clip began with presidential hopeful and Florida Senator Marco Rubio claiming that only 12 or 13 million illegal immigrants are in the country. The former ambassador stated,” If you were to deport the 30 million undocumented immigrants in the United States that’s going to cost you about 130 billion dollars.” Contrary to the former ambassador’s initial numbers and to Rubio, MSNBC showed an image while Sarukhan spoke claiming 11 million illegal aliens were in the country. Sarukhan then stated later in the interview that there are 11.3 million illegal immigrants in the country, though he did not address his former assertion that 30 million are here. Many conservative and border watchdog groups have long contended that the actual number of illegal immigrants in the U.S. is closer to 30 million while the U.S. government contends the number is closer to 11 million.